With over 100 000 commercial drones in the U.S. and near half a million globally, the commercial drone industry has emerged and is growing rapidly. But the question is – from a technological as well as a safety and security standpoint – is the world ready to accept the widespread use of commercial drones throughout everyday life? Drones bring amazing improvements to the world. In 2017, as the hurricanes swept across the U.S., Mexico, and the Caribbean, wreaking havoc across several states, drones took to the skies to help incident commanders and rescue personnel to help save lives. Now we’re seeing drone technology move from remote locations for landscape and destination photography, to more urban areas for commercial applications like construction site mapping, building or airplane inspections and more. As the technology improves, talks of autonomous drones surveying construction sites in populated areas or conducting beyond visual line of sight inspection missions, will someday shift from test missions to daily sightings on your morning jog. But in order to realize such a future, the public, private and regulatory sectors must come together to form feasible methods for safely integrating drones into our daily lives and existing infrastructure. Ensuring airspace safety is a key challenge facing the industry today as the infrastructure must be built to help authorities enforce rules and track unlawful behavior. For instance, in the rare cases that an operator is flying unlwafully, such as near a prison or other prohibited areas, there needs to be an accountability mechanism that addresses that concern. This would significantly improve the broad public acceptance of drones in society, and thus open up doors for more beneficial use cases and economic opportunities. 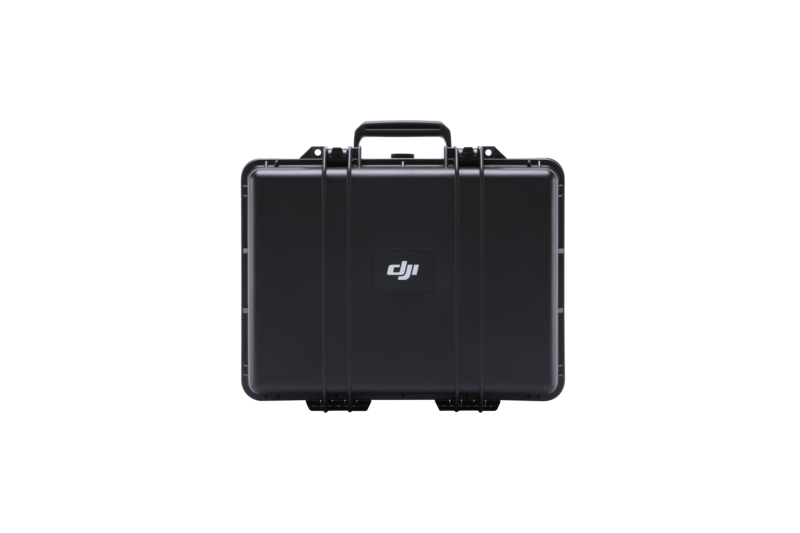 DJI’s AeroScope – which acts as an ‘electronic license plate’ – can be seen as that solution. This technology can remotely identify airborne drones within a 5 kilometer radius and start to bring accountability and context to critical operations. Using AeroScope, law enforcement, aviation and other authorized agencies can manage their airspace and keep track of a drone’s whereabouts. AeroScope’s underlying technology and advantage is that it uses the existing communications link between the drone and its remote controller to collect information about the drone, such as location, distance from the operator, flight path, serial number, and other telemetry data. If abnormal behavior is spotted, law enforcement and other authorized agencies can then use the information gathered and act accordingly. 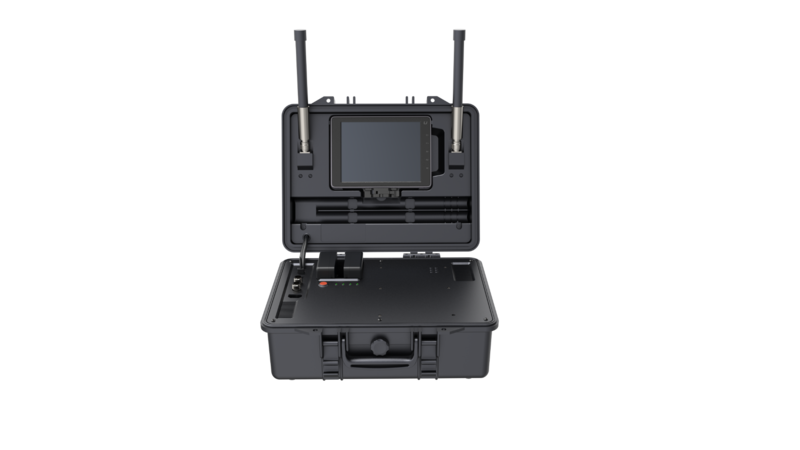 The immediate benefits of AeroScope are that it can be deployed today and will work with current-model DJI consumer drones without requiring additional hardware modifications. Unlike commonly discussed internet-based database methods of identification, AeroScope relies on the transmission technology already built into all drones. Pilots (commercial or otherwise) could easily comply with any future regulations without worrying about higher prices or other burdens. This means no new equipment to install, no cost, and no permanent database of an enterprises’s commercial operations. Therefore, pilots can fly with confidence knowing that DJI takes the security of their data seriously. For regulators and security agencies concerned with protecting sensitive locations, the ability to remotely identify drones that are operating unlawfully can be highly beneficial. By integrating AeroScope, such agencies can achieve an additional layer of security that ultimately provides them with a more comprehensive response mechanism. So what about non-DJI drones that already exist in the market? Other drone manufacturers can easily configure their existing and future drones to transmit identification information in the same way. As we’ve seen in recent events, drones have incredible potential. They can make businesses work better, advance scientific research, teach young minds about science and so much more. If the industry is able to properly address concerns about safety, security and privacy, then society stands to benefit from the full potential of commercial drone technology. ▪️ Подпишитесь на нашу новостную рассылку и оставайтесь в курсе последних новостей и деловых новостей AeroScope или DJI. ▪️ Изучите веб-сайт Quadro.ua, чтобы узнать, как компании сегодня используют квадрокоптеры.